Launched in May 2015, A Choir in Every Care Home is an ambitious initiative to explore how music and singing can feature regularly in care homes across the country. 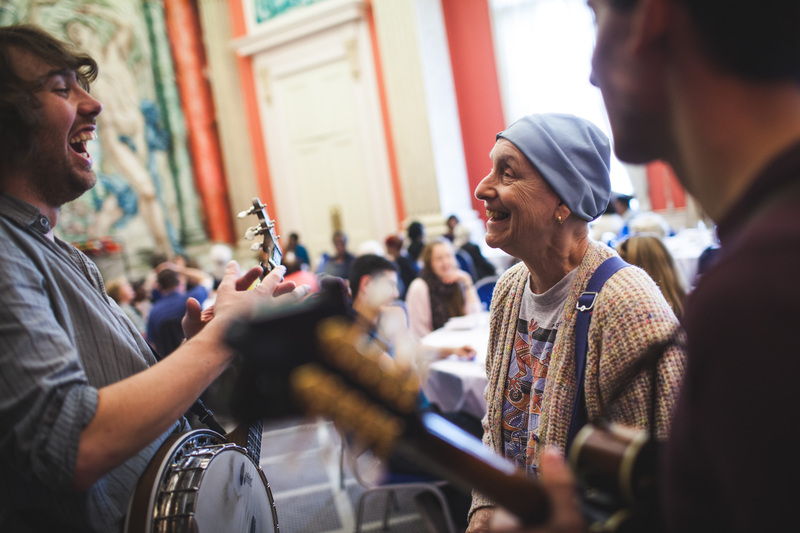 Funded and initiated by the Baring Foundation, it is a unique collaboration between 35 leading national organisations from the worlds of adult social care, music and healthcare research. It is being led by three major organisations in the field: Live Music Now, which provides national leadership for musicians working in the care sector; Sound Sense, the UK professional association for community music; and the Sidney De Haan Research Centre, providing cutting edge research on the medical and social impacts of singing.